Nusa Penida is the big brother to Nusa Lembongan and Nusa Ceningan. Despite it being substantially larger than the other islands, it has very little tourist infrastructure. Its hilly terraine and dense forest landscape could be to blame, but travellers still flock there to bask in its untouched beauty and to snap that Insta-perfect photo. What’s there to do on the island? 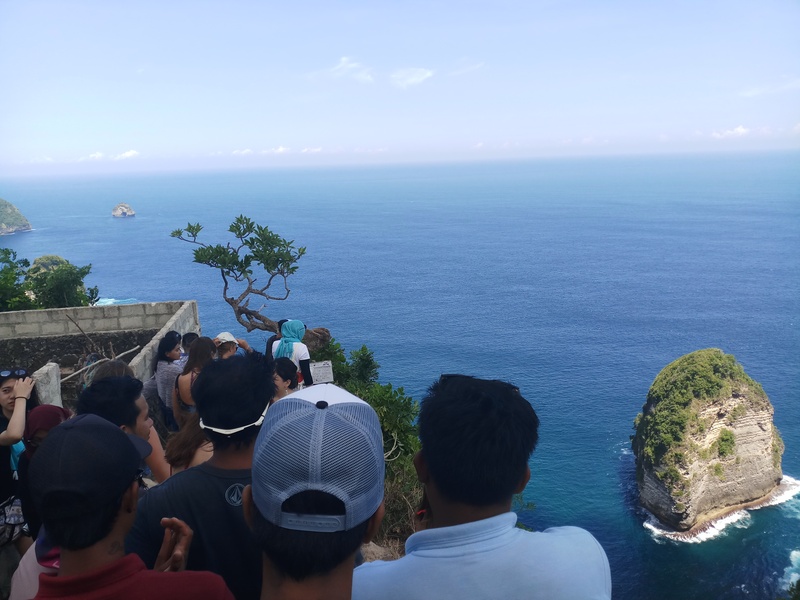 Nusa Penida has a plethora of achingly beautiful views and natural wonders. You might have seen a few of these appearing in popular social media posts over the past few years, especially Kelingking Beach. Who wouldn’t want to see Tyrannosaurus Rex shaped cliffs? This crowd favourite is a big reason why the tourism trade is quickly starting to pick up on the island. Hundreds of people armed with selfie-sticks make the difficult journey there every day. The reason the drive’s difficult is down to the state of the roads. Unfortunately Nusa Penida is plagued with potholes and terrible tarmacking. It also doesn’t have a coastal route, so you’ll have to venture quite far inland to go back out again. This results in the journey being around 40 minutes from the harbour. Scroll down to find out if its best to hire a car or motorcycle. It’s also important to note it gets pretty busy during the day, especially between 11am and 2pm when hoards of minivans drop off eager eyed tourists. If you want that perfect snap, I’d recommend leaving early to miss the crowds. Because everything is quite far apart, you might not be able to fit in all the sights in one day. Stick to either the east or west coast and tick off a few of your favourites. 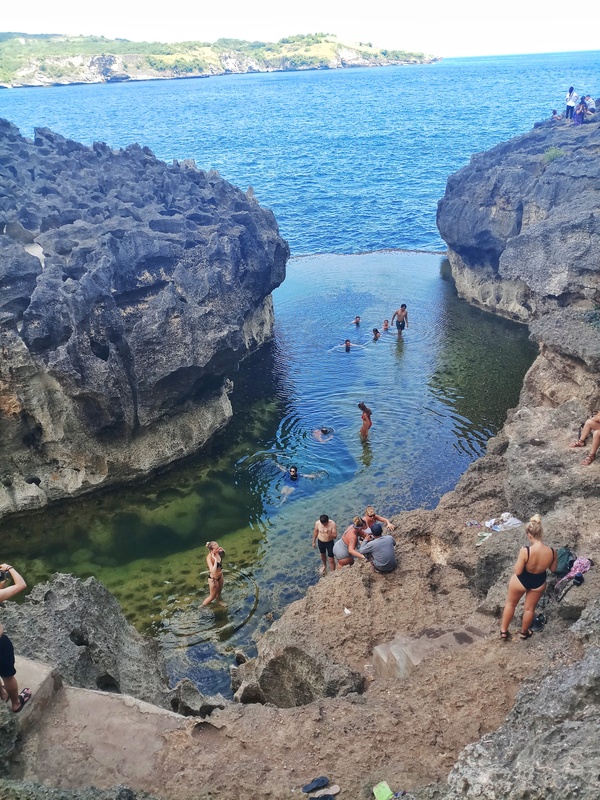 We chose to do the western side of the island to see the pearly shores of Crystal Bay, crazy cliffs at Kelingking Beach, and swim in a natural infinity pool called Angel’s Billabong at Broken Beach. This was enough for one day, as they were all about 45 minutes from each other by motorbike. On the east coast there’s Atuh Beach, where you can stay in a Tarzan-esque treehouse with an exceptional view, Suwehan Beach, and Goa Giri Putri temple. 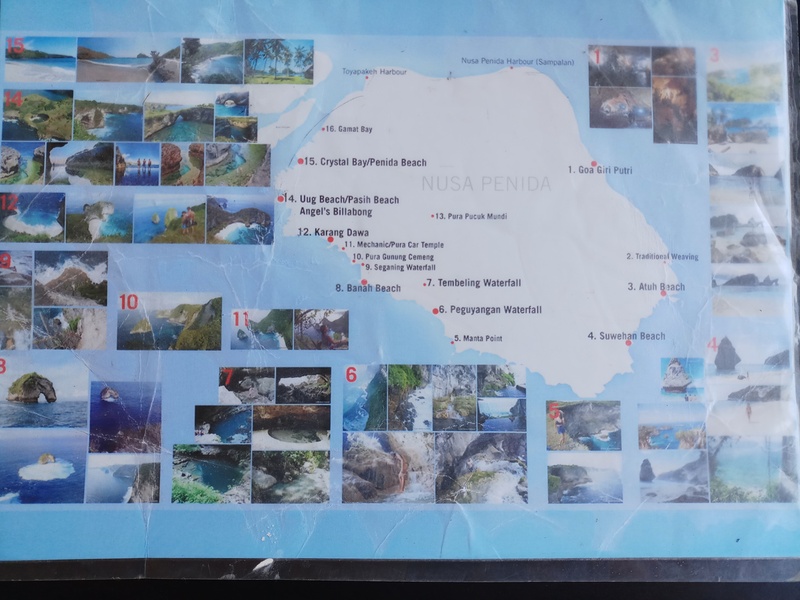 If you find you have the time, then in south of Nusa Penida there’s the majestic Tembeling pool, the Peguyangan and Seganing Waterfalls, and Banah Beach. 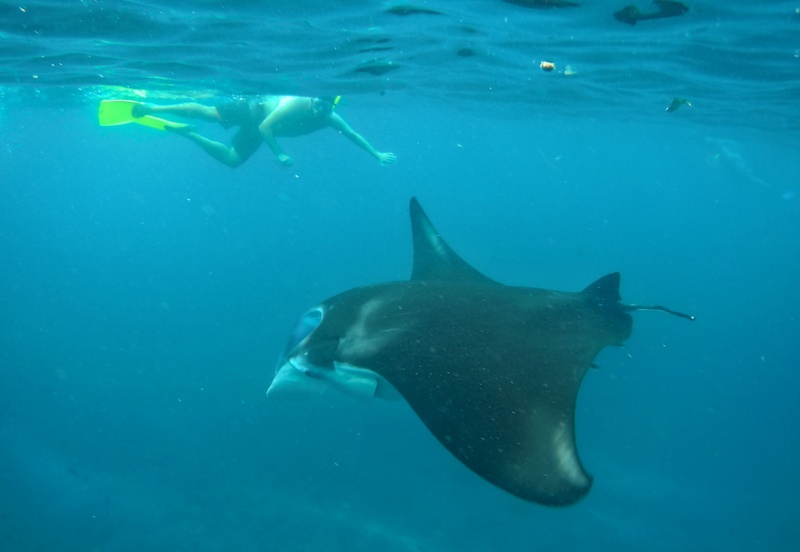 The other big appeal is swimming with Manta Rays at Manta Point on the south coast of Nusa Penida. 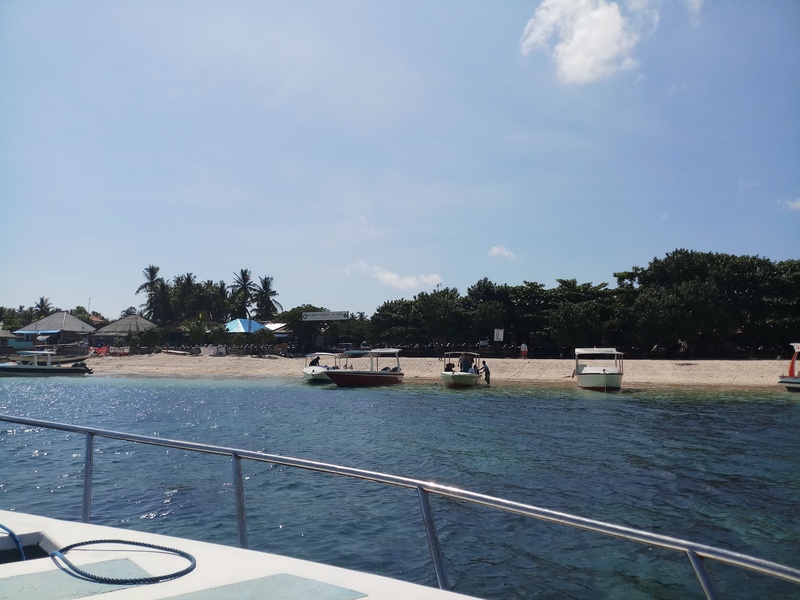 A lot of companies offer package snorkelling and sightseeing tours around the island so look into these if you want to do both. 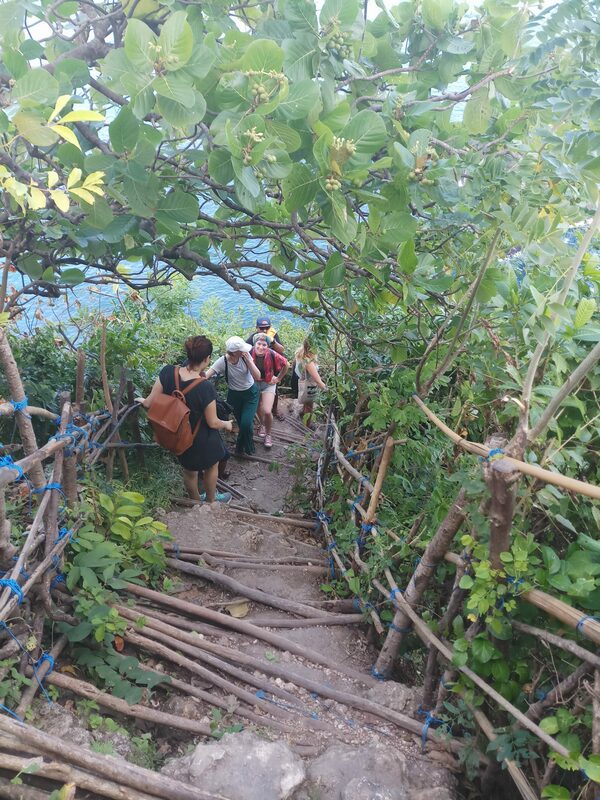 We arranged a trip from Nusa Lembongan to see the gentle giants, so stuck to land exploring when we visited Penida. 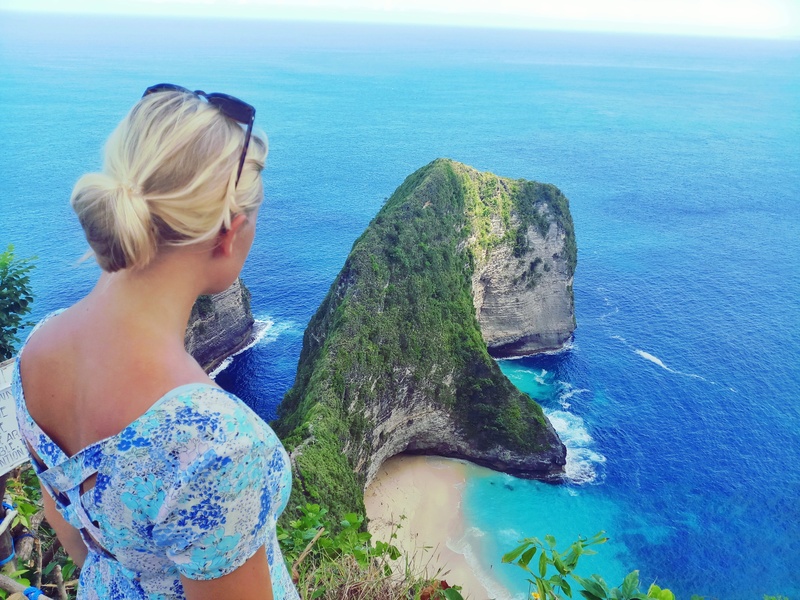 Discover Nusa Penida has great reviews online, so give them a look. 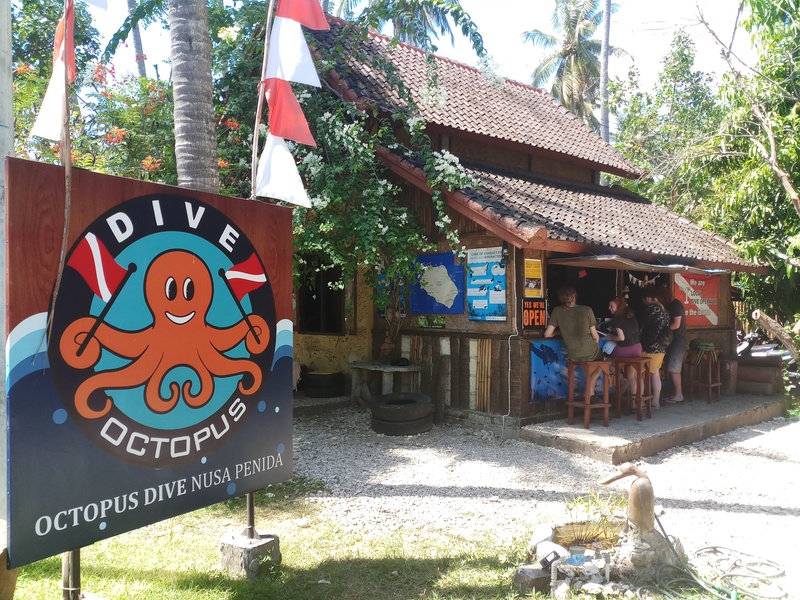 There is also a dive company on the island who you can contact in advance or even when you arrive to arrange a trip called Octopus Dive. 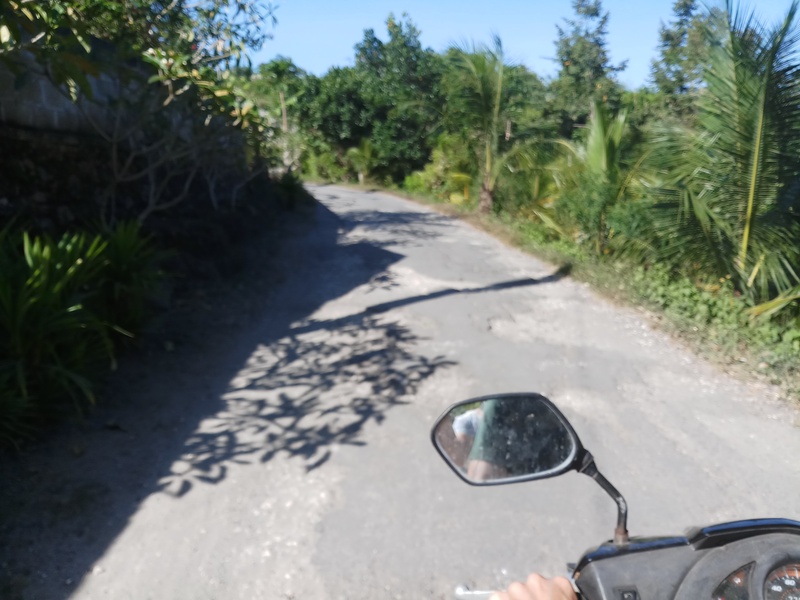 You have two transport options on Nusa Penida; motorcycle or private minivan/car. We’d read online that the roads were pretty awful on the island, but we decided to hire a bike anyway as Joe has a license and is confident on one. We first realised that was a mistake when the smooth road came to an end and the dirt track began. I used to think the A27 had issues, but you’ll never see me complain to Highways England after this experience! Joe said there were a few times when he lost control of the front wheel and we even saw tourists pushing their bikes up steep, bumpy hills. The roads are also very narrow, so on more than one occasion vans and bikes were fighting for right of way. If you can afford to, I would strongly recommend hiring a private guide and car to get around. If not, please only hire a motorbike if you have a license or ample experience, and wear a helmet! 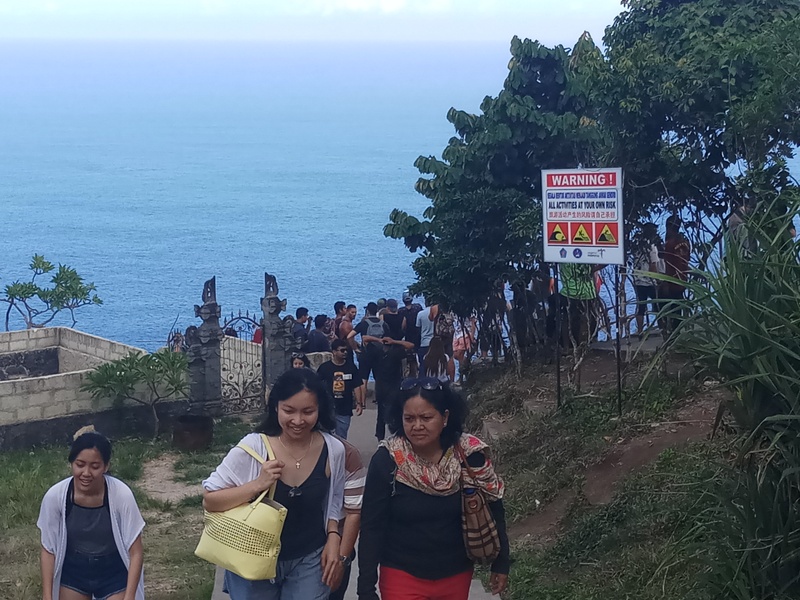 Tourists tend to visit Nusa Penida for one or two days, taking a boat from Yellow Bridge on Lembongan. We decided to do an overnighter as we knew it took a while to travel between all the popular sites and we didn’t fancy rushing about. 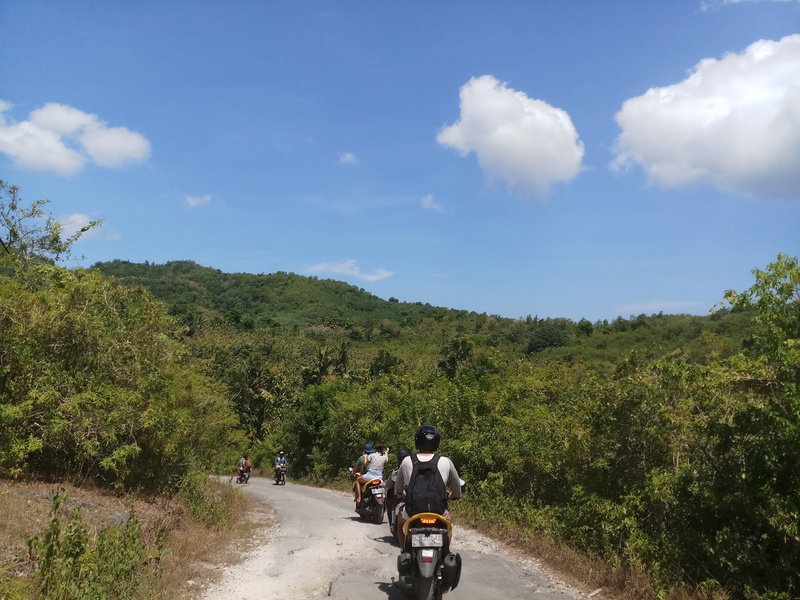 After four hours on a motorcycle on our first day, we felt we saw as much as our sore bums would allow us and retreated back to our bungalow. It’s pretty quiet in the evening on Penida, so if you’re happy with ticking off a few of the beauty spots and heading back to the livelier Lembongan then I’d suggest that. We kind of regretted doing a night on the island, as we saw everything we wanted to in the one day. 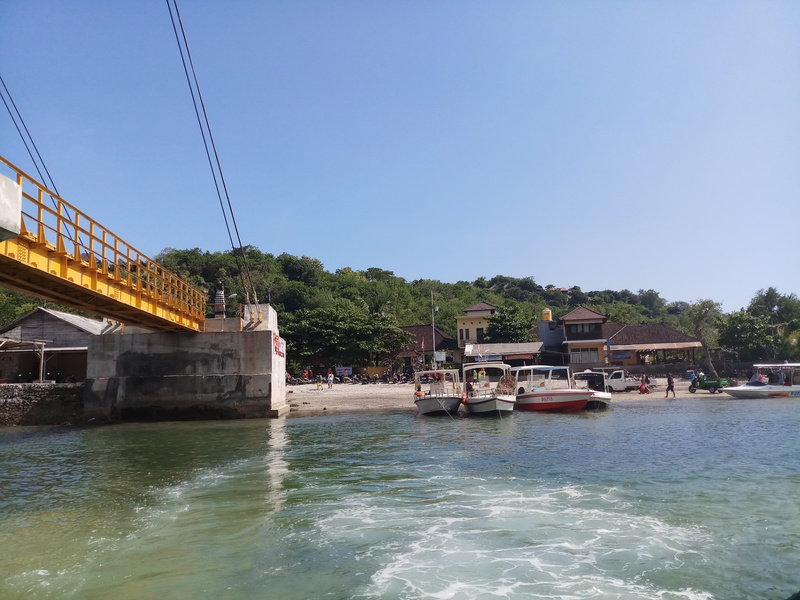 There are regular public boats from the Yellow Bridge area on the eastern side of Nusa Lembongan and Jungut Batu on the western. We left from the east as it was closer to our hotel, and a single ticket cost us 60,000 rp per person. You can buy a ticket from a company by the bridge. They’re clearly sign posted so you can’t miss them! 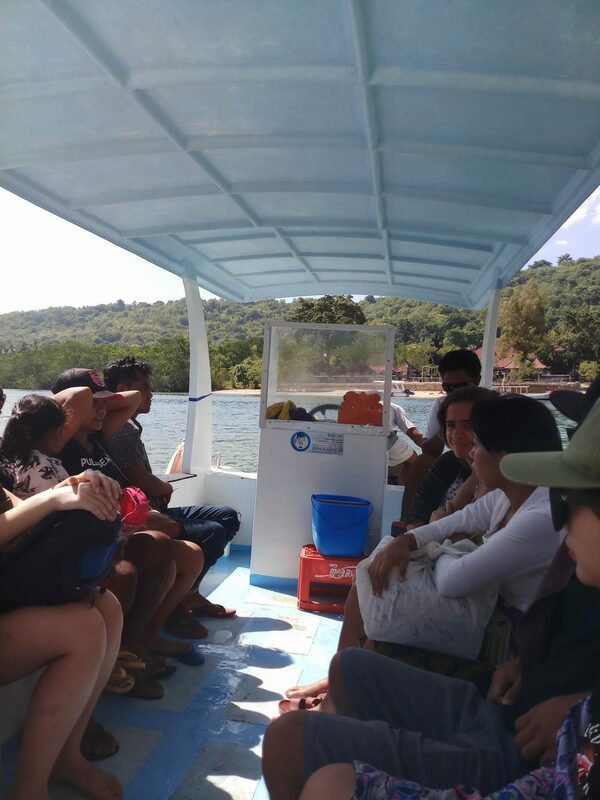 We arranged a return, which cost 120,000 rp each, and the ticket officer gave us the number of the boat’s captain so that we could call when we wanted picking up from Nusa Penida. Your boat will drop you off at Toyapakeh Harbour, and from there you can hire a motorcycle for around 60,000 rp a day or get a personal driver. If you’re staying overnight there are also taxi drivers waiting, however, check with your accommodation how much you should be paying for a single trip because they will start the price high. For a 10 minute journey it cost us 100,000 rp, but that started at 170,000 rp. We opted to spend a night at a lovely place called Kulkul Bungalows, which is about 3km from Toyapakeh Harbour. 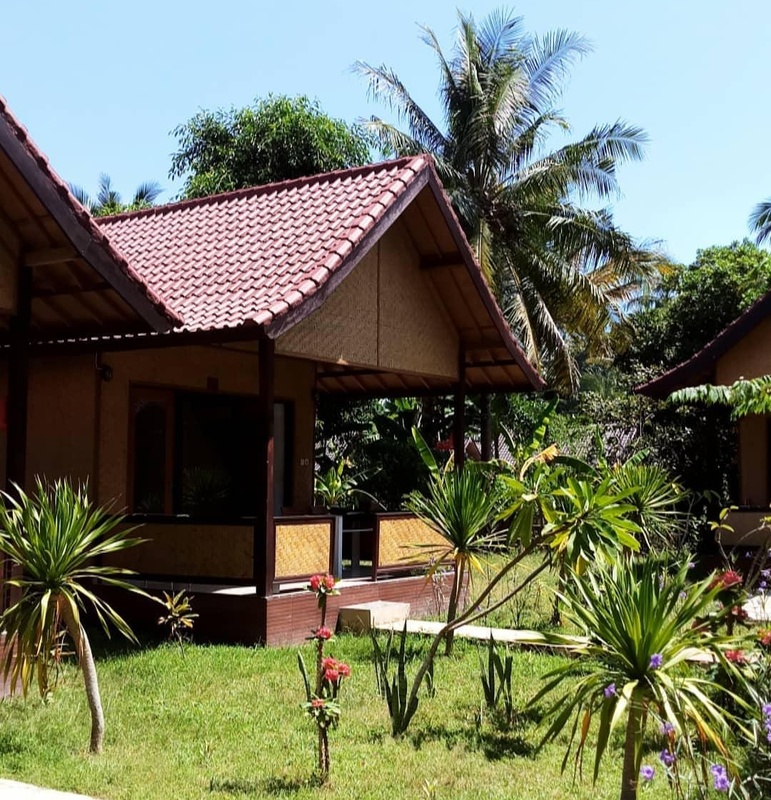 For a private bungalow with an en-suite and breakfast it cost us 350,000 rp a night (£18). The staff were really helpful and friendly, and organised a motorbike and laundry for us. 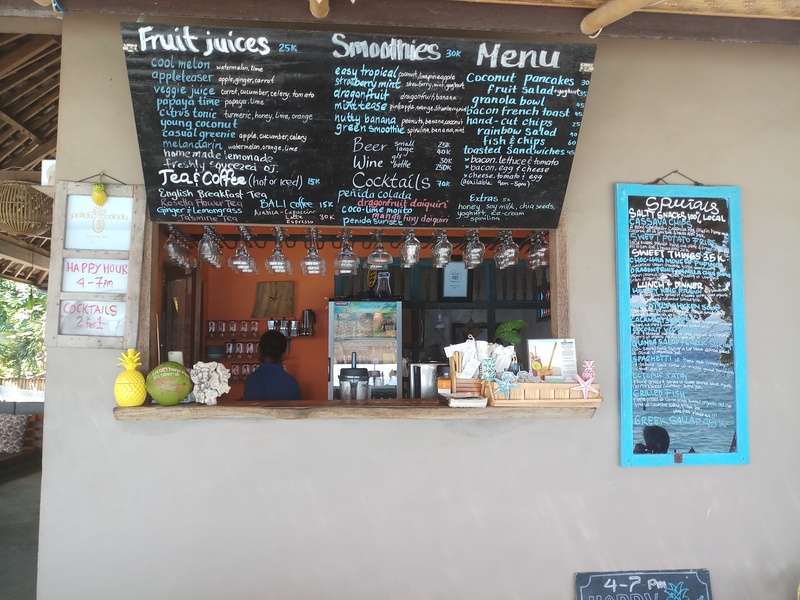 It’s also really close to two of the best places to eat on the island, Penida Espresso and Penida Colada. A cheaper alternative is the Dragonfly Inn, which is run by a local couple. A single room with a shared bathroom and breakfast should cost £9.